This was one of our favorites from the champagne cocktail sampling this weekend. 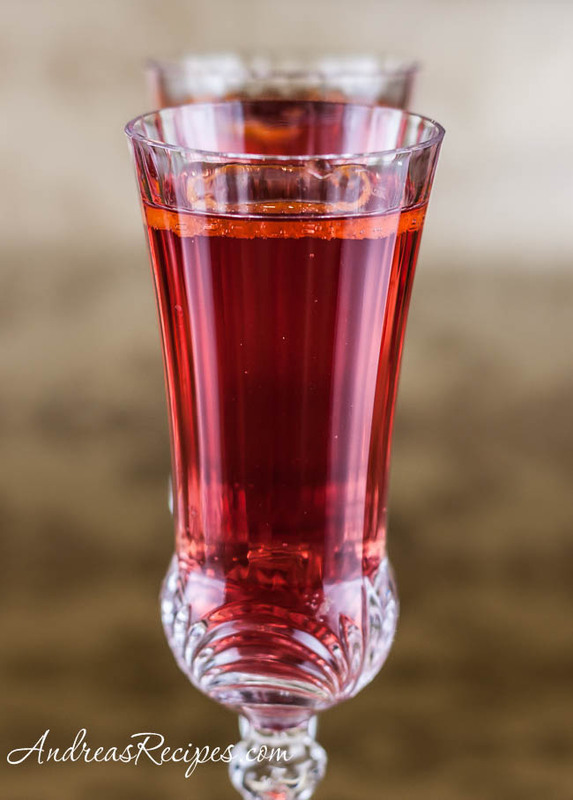 It’s light, fresh, easy to sip and rather festive looking with the bright red cranberry juice, and will make a perfect addition to a New Year’s Eve cocktail list. Adapted from 101 Champagne Cocktails, by Kim Haasarud. 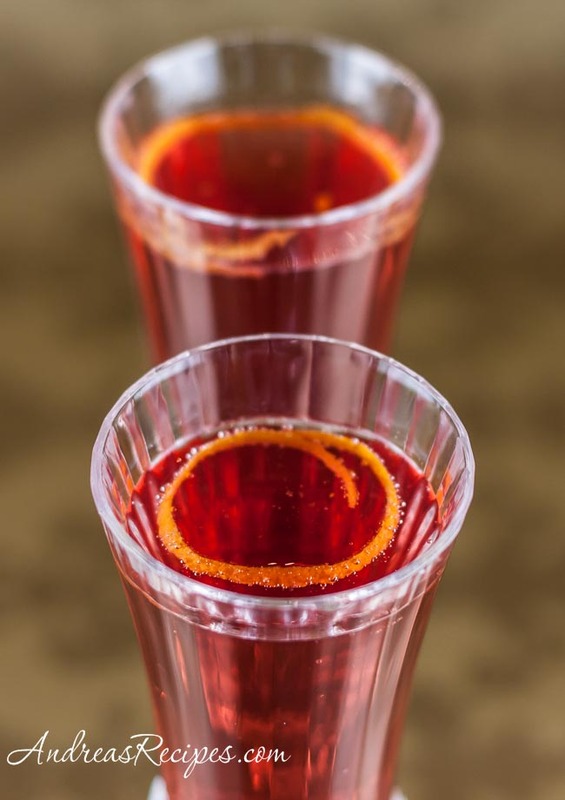 In the glass, combine the orange liqueur and the chilled cranberry juice. Add the orange juice twist, top with the champagne, and serve. This really looks nice! And, I think I’ve got all the ingredients in house already to give it a try. Happy New Year! That looks great for a NYE cocktail! That looks even prettier than yesterday’s. You should enter it in the CLICK: January 2009 photo event. The theme is red, and your picture is perfect for it. Wow! That’s really pretty and festive! I am loving all the cocktails. Happy New Year to you and your family. OMG when I saw the headline, my first thought was, “really? Poinsettias are not poisonous?” I get it now. 🙂 Looks delish! Beautiful pictures! 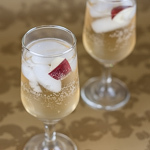 What a refreshing idea for Champagne – we’ll try this tonight. What a beautiful drink and well photographed! Fantastic, we’re doing these Christmas morning. We had these for Christmas breakfast…Damn these are good! Thanks for the great recipe. Loos so yummy and festive.